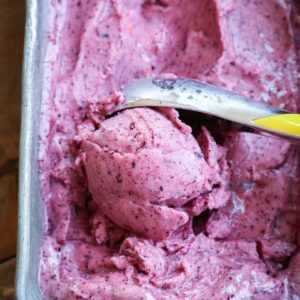 Dairy-free, refined sugar-free, paleo, and vegan nice cream made only using frozen bananas, blueberries, and strawberries. 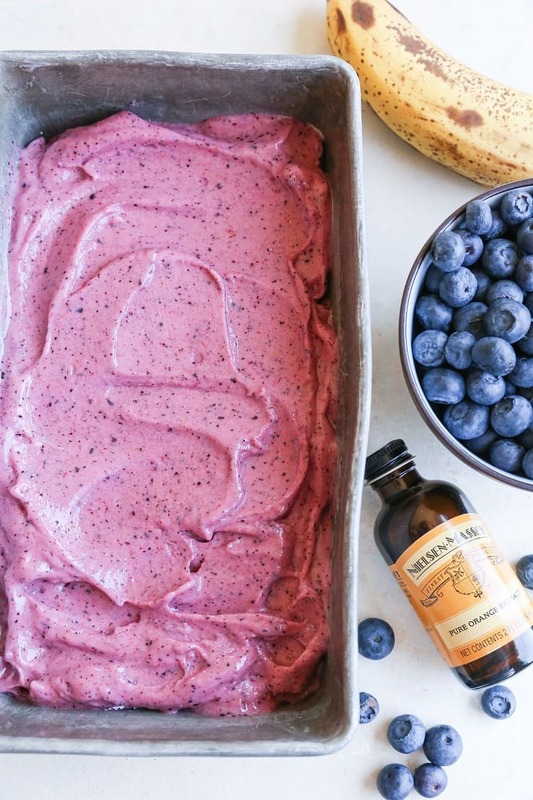 This healthy dessert recipe only requires 5 to 10 minutes of prep and a high-powered blender. Have you heard of nice cream? 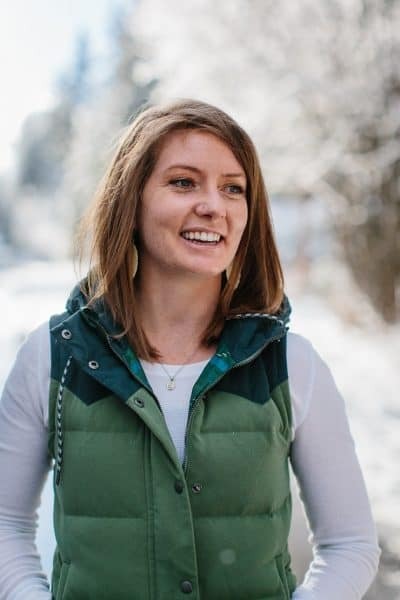 If you’ve dabbled in the paleo scene, my guess is you have, but if you’re resistant to ice cream coming in any other form than, well… actual ice cream, it may be a new concept. Here’s the scoop (<- get it? Scoop? Real knee-slapper right there): It’s frozen bananas. And that is literally it. 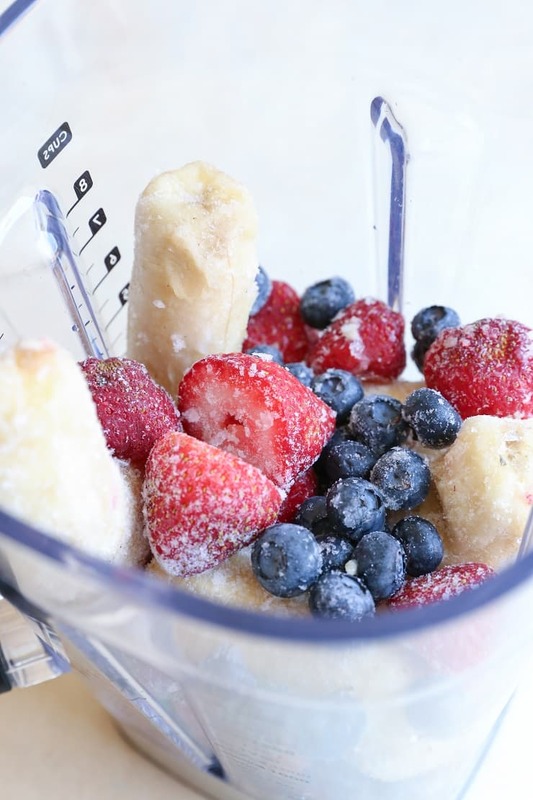 You take frozen ripe bananas and pulvarize them in your blender or food processor. It becomes a creamy concoction that is (obvi) dairy-free, naturally sweetened, and paleo-friendly. If you have food restrictions, and/or are inclined to keep your food and desserts clean, you’re going to go crazy over this! Not that I’m tooting my own horn (<- I totally am), but the boyfriend and I made banana ice cream (or nice cream) using his Vitamix six years ago, back when we were both paleo AF and the majority of society a.) 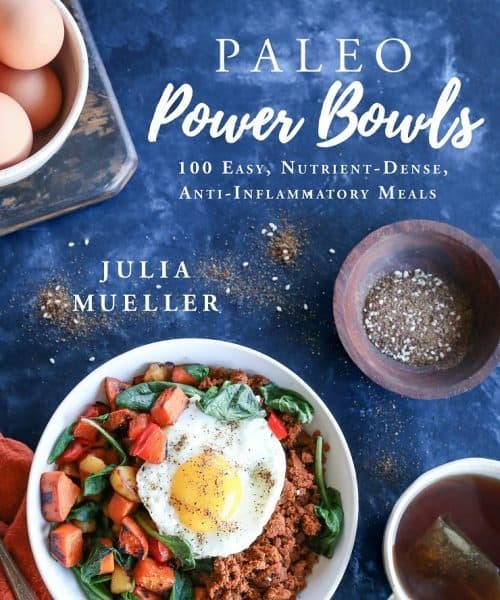 hadn’t heard of paleo, or b.) felt weird and cagey about it. We’d buy a bag of already ripe bananas from our grocery store, peel them all, stick them in a zip lock bag, and freeze them. We’d pull out a few bananas on a nightly basis and make ice cream out of them in the ol’ blender. Every once in a while, we’d stray from the classic banana ice cream, adding various goodies like cacao powder, vanilla extract, and/or other fruit, but for the most part, we were banana purists. I’ve recently rekindled my nice cream flame, and this time, I’m back at it with a whole new approach. That approach? Nice cream e’erythang. Berries included. 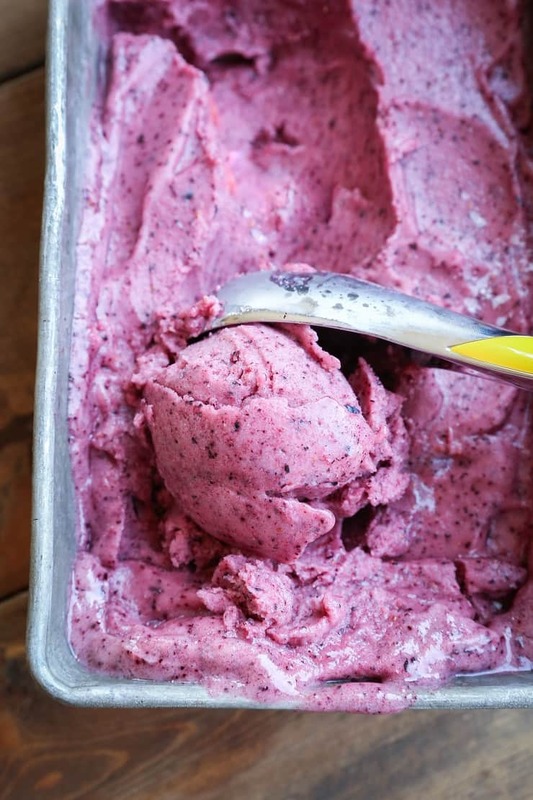 I’ve been purchasing berries like it’s my job (<- buhdumching, it is my job) this summer, so I decided to freeze some of them and nice cream them into oblivion. The result? 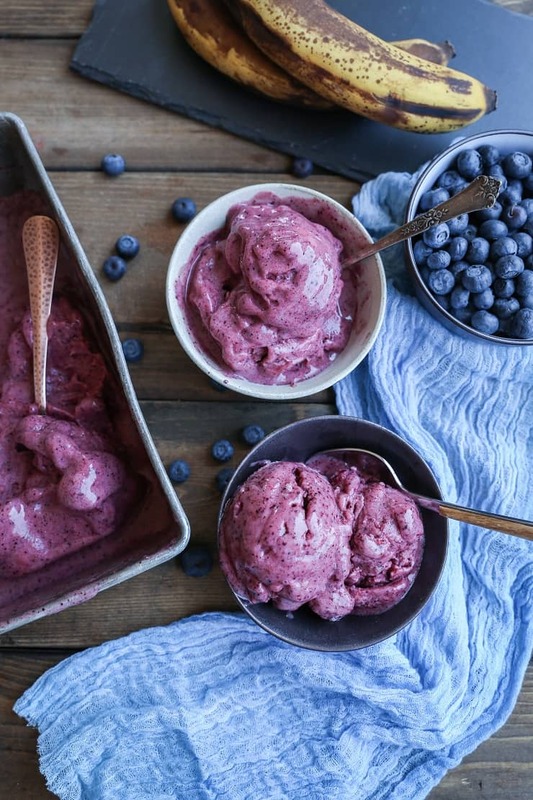 A super sweet, creamy, tangy refreshing frozen dessert that’s basically like a healthy smoothie, but like 17 times better, because it’s for all intents and purposes: ice cream. In addition to bananas and berries, I added Nielsen-Massey Pure Orange Extract to the mix to ramp up the flavor in a natural way. Had I added an orange, the texture of the nice cream wouldn’t have turned out right, so having that zesty flavor while maintaining the creamy texture is phenomenal! 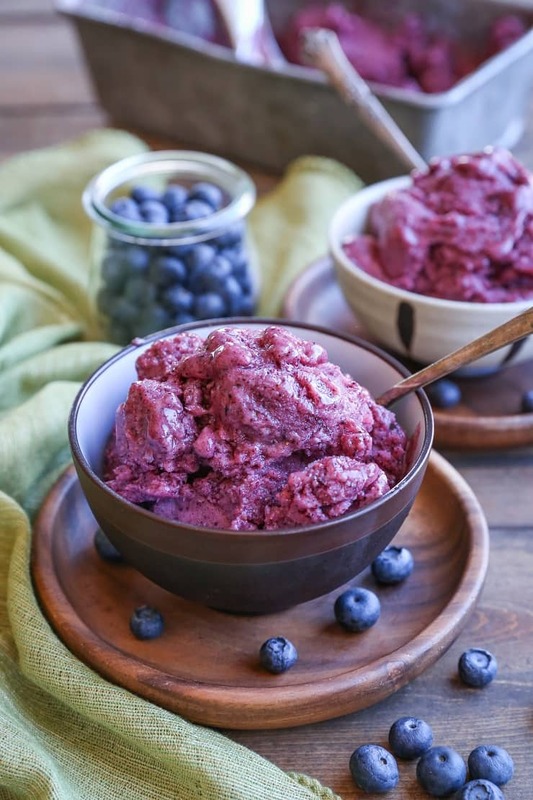 I recommend freezing fresh blueberries and strawberries rather than using store-bought frozen strawberries and blueberries, because the consistency and flavor is simply better when you use fresh fruit. Plus, the nice cream turns out sweeter! As long as you’re using a high-powered blender or food processor, you shouldn’t need to add any liquid to the blender, but in the event your blender has difficulty, you can add a few tablespoons of coconut milk or almond milk to help move things along. Blending technique? I put the fruit in my high-powered blender, which came with a tamper, I put the lid on, insert the tamper, then blender while thrusting the fruit into the blade using the tamper. You can still get a creamy result if your blender doesn’t have a tamper..you’ll simply need to stop the blender to scrape the sides/stir a few times. 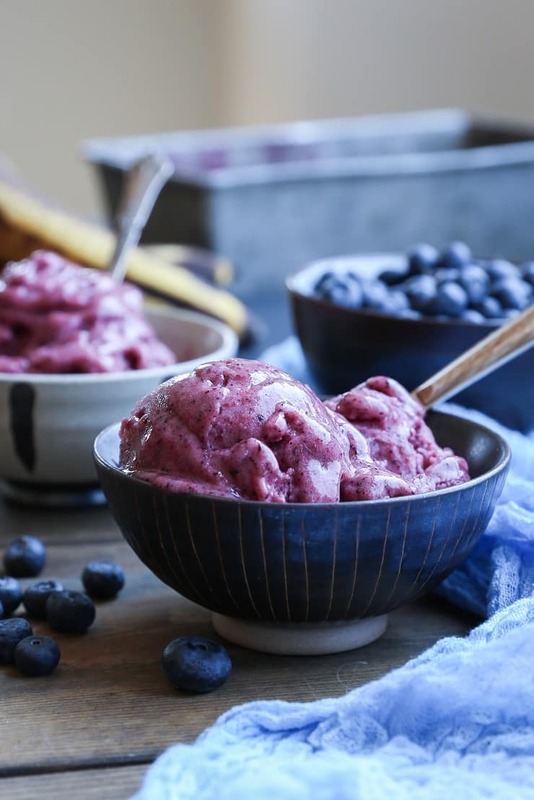 These days, since I’m sensitive to bananas, I only go for a small scoop of nice cream, but back in my heyday, I would have consumed nearly the whole batch…because it’s ice cream that’s just as healthy as a smoothie, so why not? If you really want to let your hair down, you can whip up my Paleo Magic Shell to drizzle on top of this treat! The banana-chocolate combo? Bueno? The berry-chocolate combo? Bomb.The chocolate-berry-banana combo? Super dope. This is going to be your new obsession! 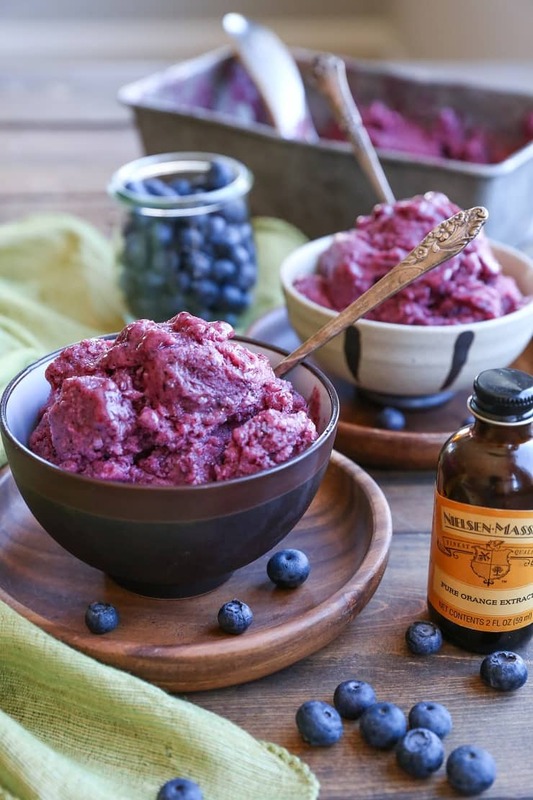 Follow Nielsen-Massey for continued recipe inspiration on Facebook, Instagram, and Twitter! 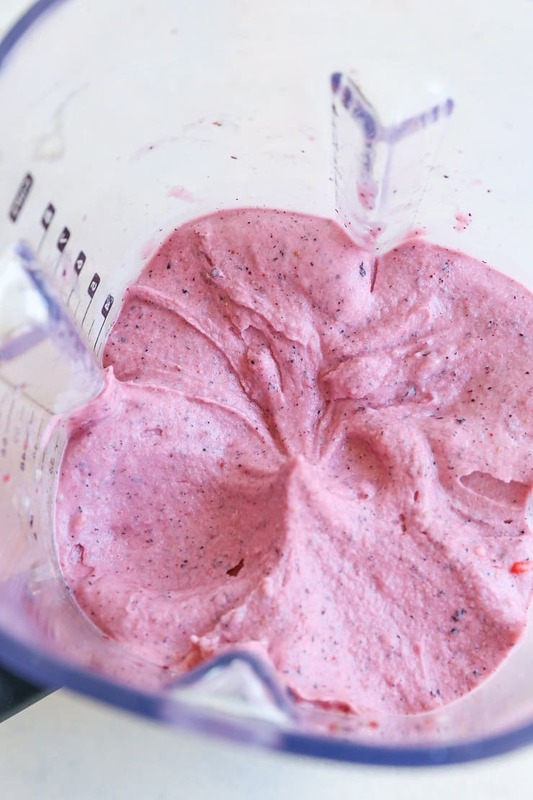 Add all ingredients to a high powered blender or food processor. Cover and blend until completely creamy. If you have a tamper, use the tamper to mash the fruit to help it blend. If necessary, add 2 to 4 tablespoons of non-dairy milk, such as canned coconut milk, to help the fruit blend. Serve immediately or freeze in a freezer-safe container for later. This looks BERRY good! Seriously, I’ve made banana nice cream once and have no idea why I haven’t done it since. Adding berries to it can only make it better and I love the sound of the orange extract. Gorgeous photos too BTW! This looks SO incredibly amazing – lovely, lovely, so healthy and so delicious – I’m seriously considering making the investment of a Vitamix – this may push me over the edge! I think it is looking really delicious and personally my mouth is full of Water.